When returning from Paris, people will ask you: so, where did you go? Have you been there and there…. like I told you? You actually did better: you went for brunch at the brand new palace Prince de Galles, that everyone (Parisians included) waited for so long to reopen. no need to precise it was a no-snail no-frog experience. And our guess is that you LOVED it. We sure did. And if you haven’t experienced it yet: what are you plans next Sunday in Paris? Brunch at Prince de Galles: what to expect? Every Sunday, this 5-star hotel (palace to be?) 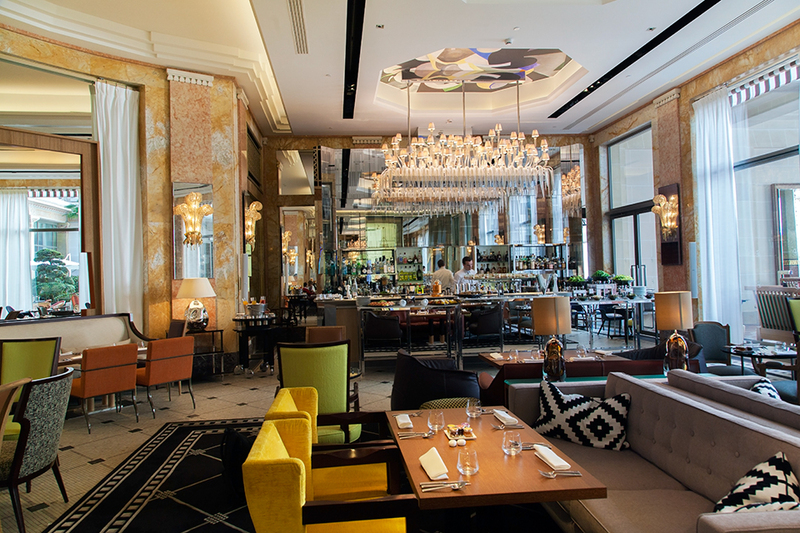 offers an high-end brunch you should not miss, especially if your a big fan of traditional Art Deco / parisian style, from the hotel bar to the gastronomic restaurant La Scene and the hotel patio (god, sunny Paris, here we are! ), all three spaces being entirely dedicated to brunch every week-end. So that’s here, you’re in the place. You’re not alone, but you’ll feel privileged – among a crowd of non-hipsters, all “luxury-lovers” and food epicureans. The good thing is: le Prince de Galles is NOT a snobbish place. How classy is that? As for food, please try it all. Well, just try it all. And if you don’t come that often to France (or, just crazy loooove those French cheeses), enjoy the fabulous cheese plate and just give up. You’ll fit into your bathsuit another day. Let’s add to that freshly squeezed fruit juices, splurge with a champagne glass if you dare, and you’re good to go. 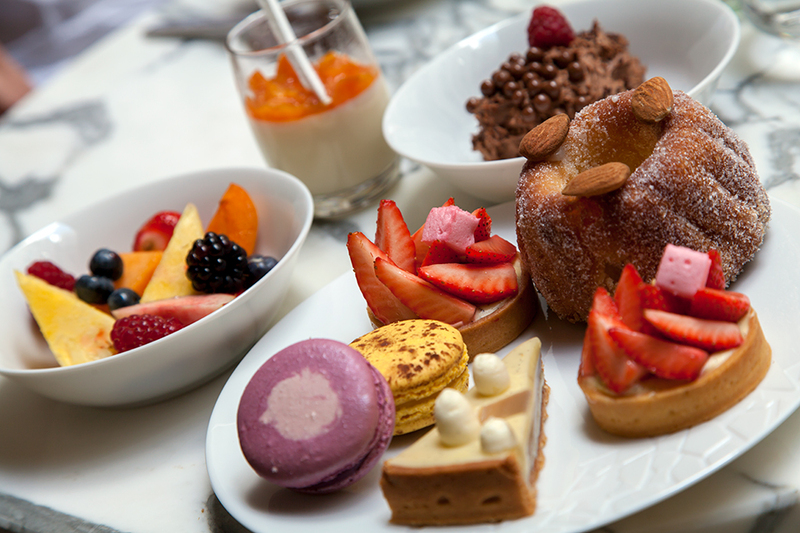 The perfect Sunday afternoon in Paris… right? It’s called playing with the big boys. And since we’re talking about that: don’t freak out when seeing the dessert buffet – it’s pure happiness condensed in a single place. Tartelettes, macarons (yeah, we don’t translate, you sure DO KNOW what that means), sugar stuff you will miss at home: it’s all there folks, along with a “chocolate mousse” which may want you to kill anyone who approaches this treasure too close. 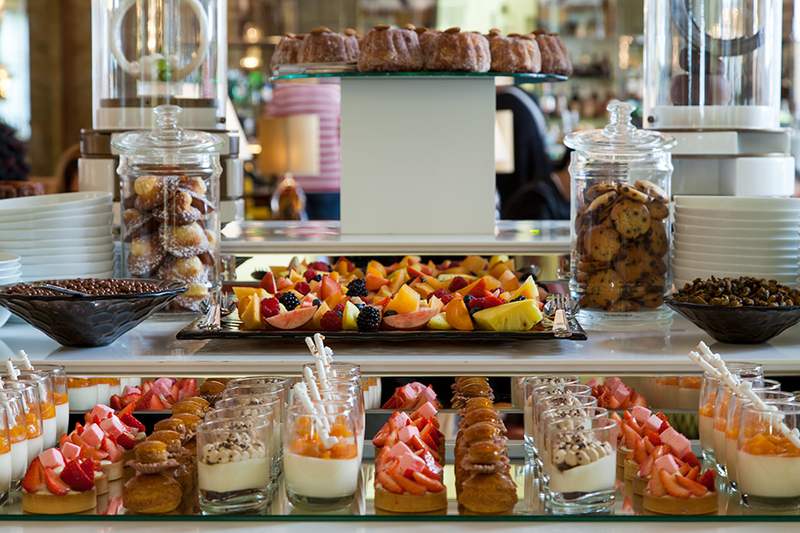 We love this brunch… and you will too! 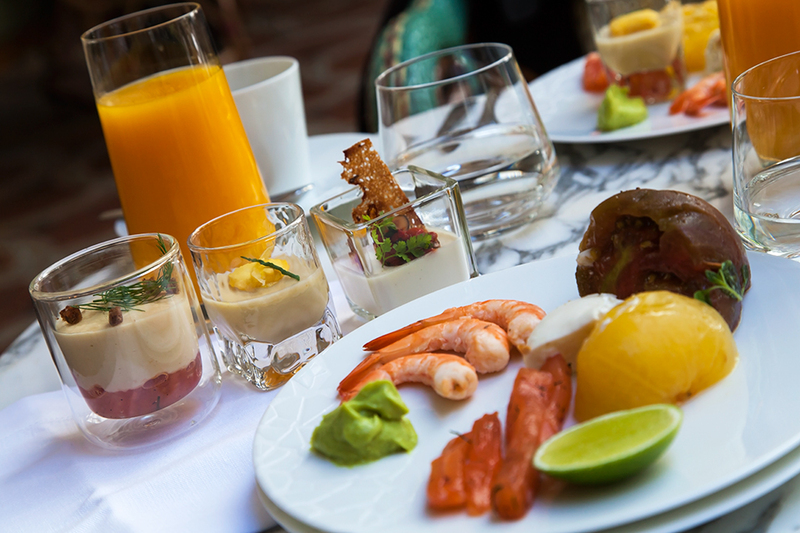 OK, that’s almost a hundred euros, but how many times can you enjoy a luxury brunch in Paris…right? 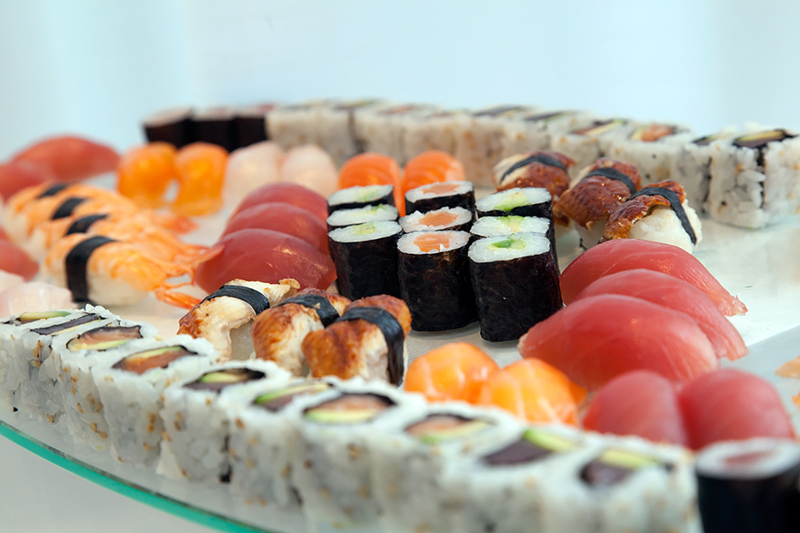 Hôtel Prince de Galles – Book your table online !